The Clinton campaign released a copy of the Billary Clinton 2015 1040 to the public today, even though they were signed on 3/27/16. No mention of why they waited four and a half months to release the return. You can download a copy of this return via the Tax Analysts’ web-page I mentioned a little while ago. It’s a 40 page PDF file. I glanced over the return and have a few observations. 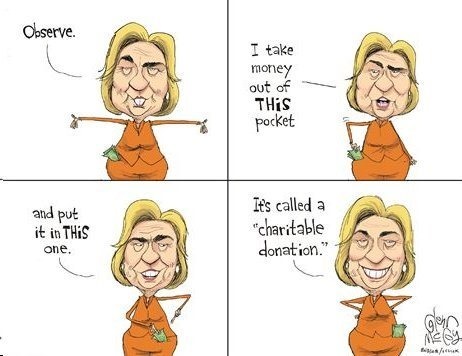 Just as I discussed last year, 96% of the Clinton “charitable donations” for 2015 are payments to their own personally controlled illegal organized crime foundation. Something that I haven’t seen mentioned anywhere else. Besides Bill’s use of an LLC (WJC, LLC) on Schedule C for consulting income, Hitlery is also using her own LLC on two Schedules C to report speaking and writing income. She also used this LLC on their 2014 1040. It’s called ZFS Holdings, LLC. 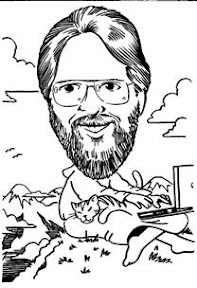 No mention of what the initials ZFS stand for. Does anybody know? As with their 2014 disclosure, there are no copies of their State income tax returns, although you can see that they deducted $1,369,277 for State Income Taxes Paid on Schedule A of their 1040. 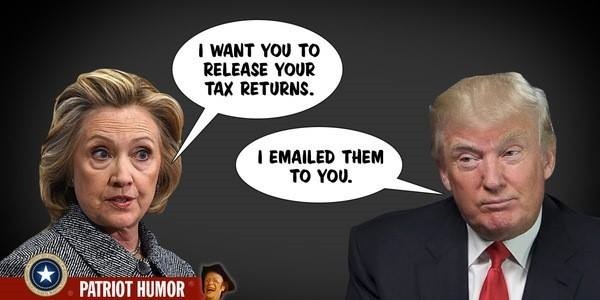 Trump is standing firm on his strategy of not making public his tax returns, in spite of Hitlery’s attempts to publicly harass and shame him into doing so. Given the fact that IRS and other government agencies flagrantly break all laws in the support of DemonRat politicians, I’m sure someone at IRS will "accidentally" leak copies of the Trump tax returns to their allies in the left-wing press who are acting as blatant propagandists for the DemonRat Party. This entry was posted on August 19, 2016 at 10:10 AM	and is filed under Clinton, TaxReturns. You can follow any responses to this entry through the RSS 2.0 feed. Both comments and pings are currently closed.